Helen Ryan, a senior business manager at Federation University Australia, has been awarded a prestigious higher education award. As business manager at the University’s Federation Business School, Ms Ryan was presented with the DVE Business Solutions Award for Excellence in School and Faculty Management. “Helen has achieved a number of significant milestones as the Faculty of Business Manager, including a branding strategy, fostering industry engagement strategies, new partner development; and strengthening relationships with international partners,” the award citation noted. 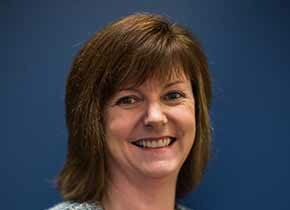 Associate Professor Bob O’Shea, Dean of the Federation Business School, said: “Helen is an outstanding Team Leader and an inspirational role model for all aspiring managers, both male and female”. The presentation was made at the seventh annual ATEM/Campus Morning Mail awards. The awards are conducted by the Association of Tertiary Education Managers (ATEM), which is an Australian and NZ based organisation.